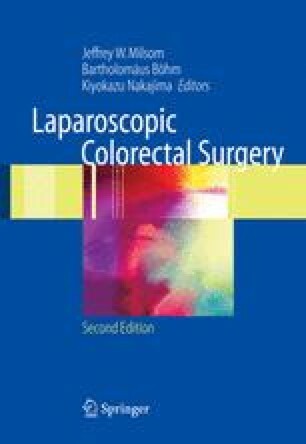 Laparoscopic proctocolectomy with ileoanal pouch construction is the most extensive laparoscopic colorectal procedure to perform. However, if broken into its separate components, right and transverse colon mobilization, left colon mobilization, proctectomy, and ileoanal pouch construction, each component is feasible once adequate laparoscopic experience has been achieved with segmental laparoscopic colectomy. The procedure provides significant advantages over a conventional approach for the patient requiring surgery. With an experienced team, the operation can be performed safely and in a reasonable operative time, usually within 5 hours. With the expansion of laparoscopic colectomy, laparoscopic proctocolectomy with ileoanal pouch construction will likely replace the conventional approach in the majority of cases.